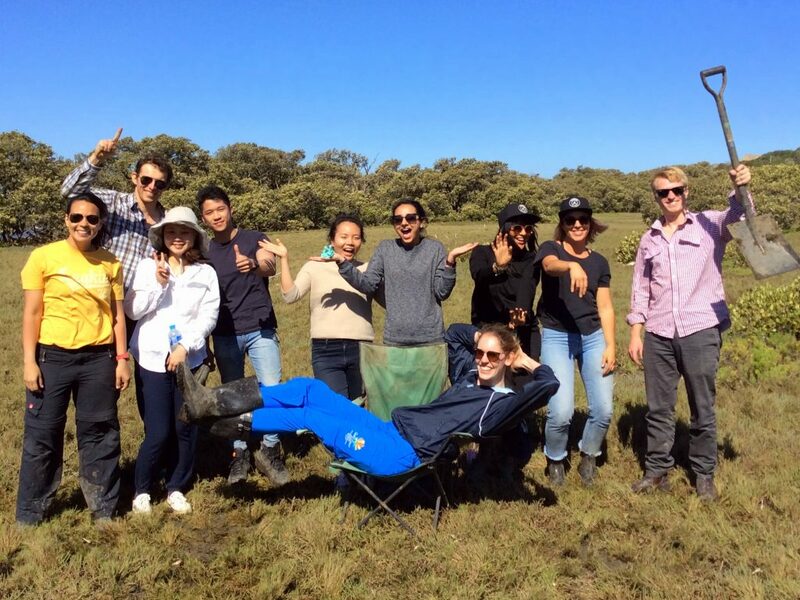 Sunny and productive back-to-back field trips at Towra Point! 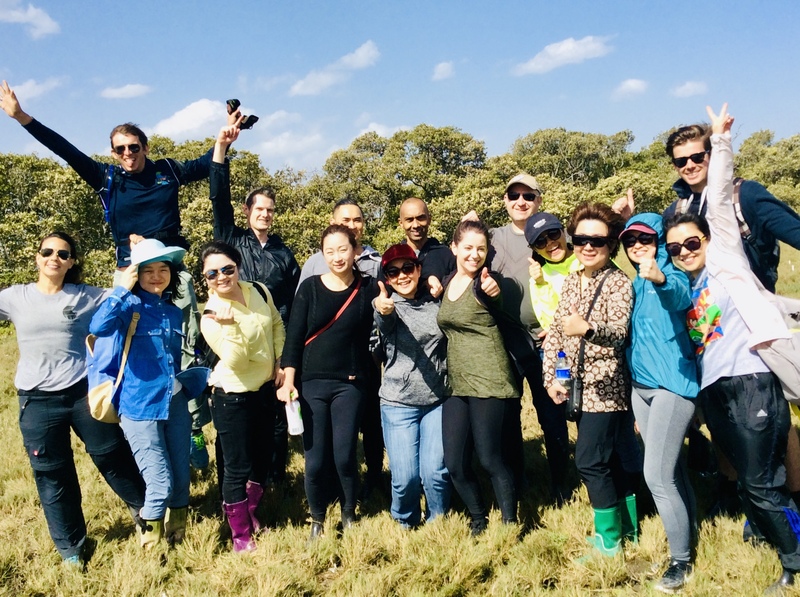 After the morning talks at HSBC headquaters, participants joined us in the field to conduct the third monitoring of the nutrient plots. 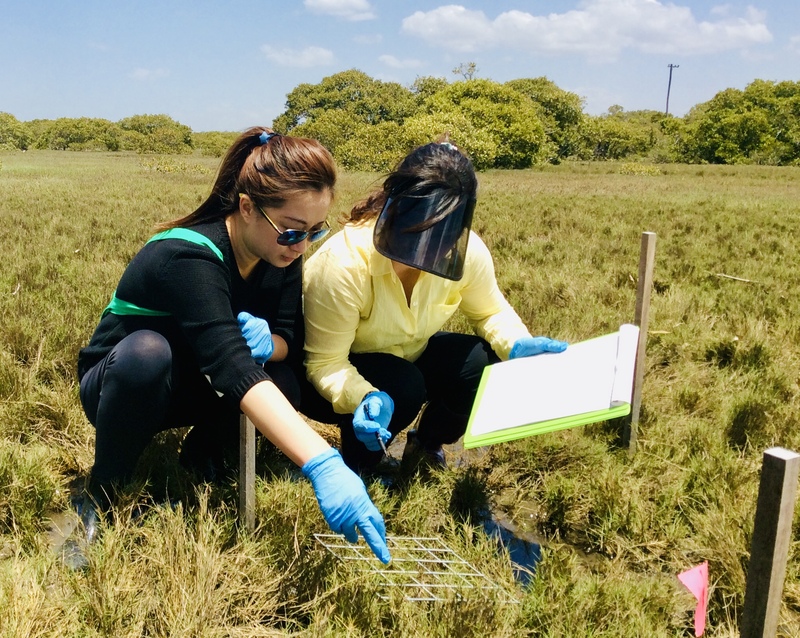 Work consisted in collecting small soil cores, taking microbe samples, and -of course- finding the 60 tea bags. 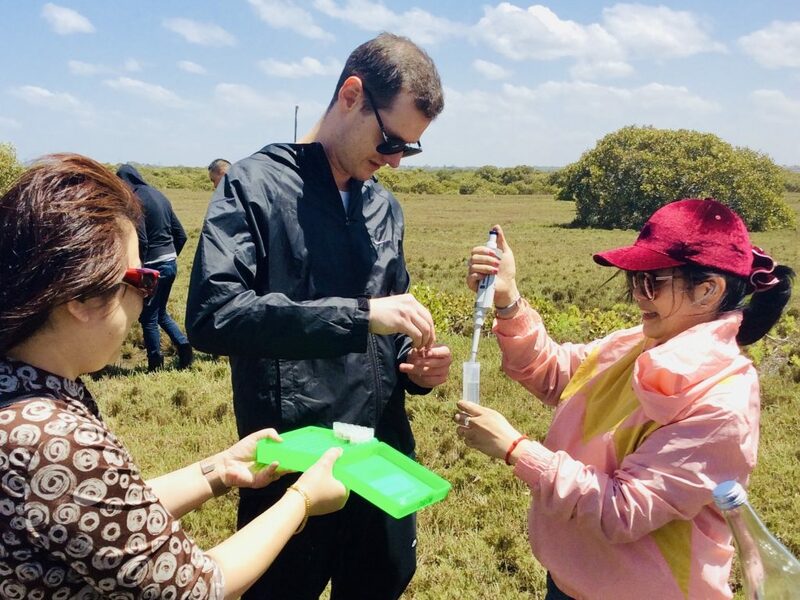 Although the tea bags have been buried for 6 months, most citizen scientists were successful in retrieving all their tea bags. 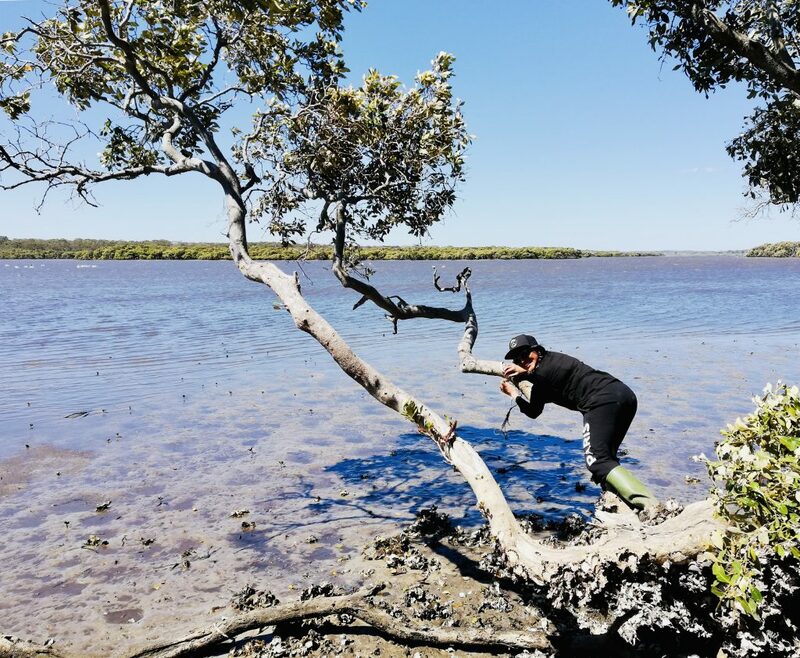 Participants that finished fast (& even had time to chill in camping chairs) began an additional experiment aimed at correlating mangrove characteristics to the carbon sequestered. 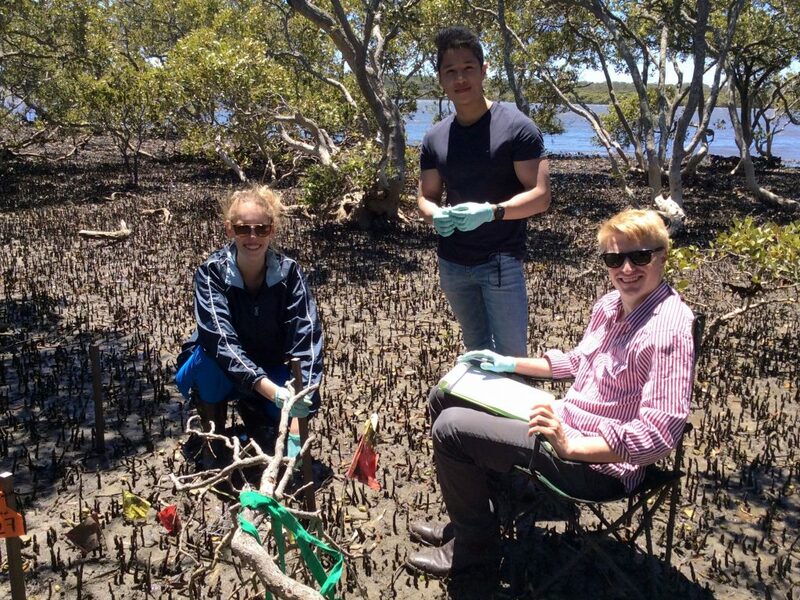 Many thanks to all the participants who got muddy studying coastal wetlands in Botany Bay!